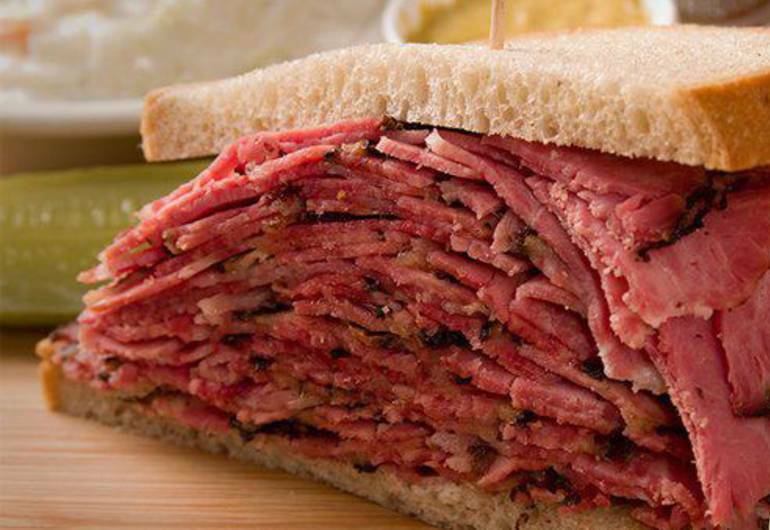 NY Times, Joan Nathan selects..."At Jewish Delis, Times Are as Lean as Good Corned Beef"
Have a hankering for an old-fashioned Jewish delicatessen? 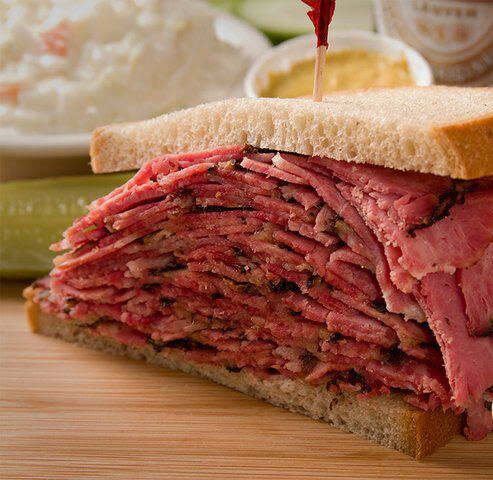 Hobby's Delicatessen has been run by the Brummer family since 1962 and they still pickle their legendary corned beef in fifty-gallon stainless steel vats! Soups are hearty and, of course, homemade and the potato pancakes are a must-have. They're a local favorite...and earned accolades from a variety of media including the New York Times, calling Hobby's "Outstanding". Game nights heat up, where taunting of the New York Rangers is always encouraged. They're "just a block from the Rock". Hours of Operation: Monday - Friday 7am - 4:30pm; Saturday 11am - 3pm; Closed Sundays. Hobby's is open until game time for all Devils' home games (except Sundays.